If you thought Debian/m68k was dead and buried and where happy about it, I'm sorry to disappoint you. 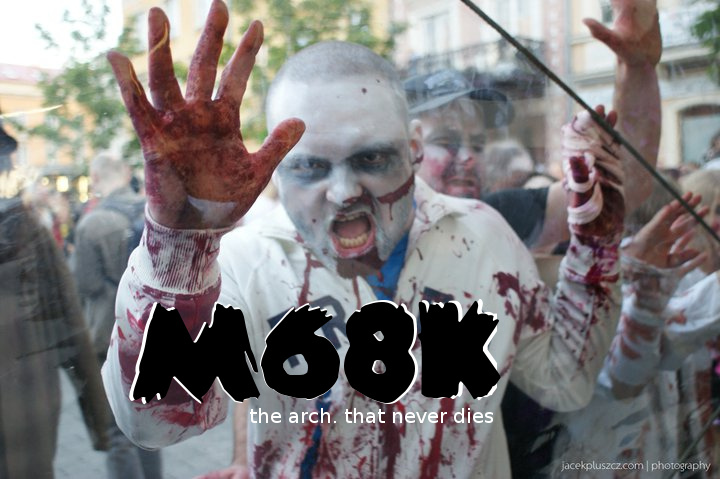 The reason m68k had died out slightly was not that we'd lost interest, or that we'd been kicked out of the archive, or anything of the sorts, as I've seen people believe. Instead, the reasons were fully technical: glibc past some particular version needs TLS (thread-local storage) support, which hadn't been implemented for m68k yet, and nobody within the Debian/m68k team had the expertise to work on this. That was all. do other things necessary (such as providing a working installer, etc). Not quite impossible, but still a lot of work that would need someone to put in quite an amount of time. This wasn't something that people in the m68k port could invest; and I'm also not sure we had the necessary skills amongst the team to do the necessary porting. So the work lay there, and it wasn't being done. Until one Thorsten Glaser, author of a shell called 'mksh' that I hadn't heard of until then, came along, and noted that his mksh package wasn't being built for m68k. Upon investigating, he discovered, as expected, that the port was almost dead. Now most people would leave it at that and decide that they couldn't build for an architecture that wasn't being maintained anymore—and that would be perfectly fine— but not Thorsten. On the brink of death, he almost single-handedly revived the m68k port, and got stuff to work to such an extent that it is now again possible to build a working and fairly up-to-date Linux/m68k ARAnyM virtual machine. As I'm typing this, my ARAnyM instance is checking out the d-i repository (so I can start building d-i), and building sudo at the same time. Let's see what comes from this.